Nelson Cabrera- the ineligible Bolivia player that cost Chile a spot at the 2018 World Cup? Why did Chile not qualify for the 2018 World Cup? The reigning Copa holders lost 3-0 to Brazil on the final match day, a result when combined with Peru’s draw at home against Colombia and Argentina’s win over Ecuador, saw La Roja being knocked out. But here is an interesting little stat. 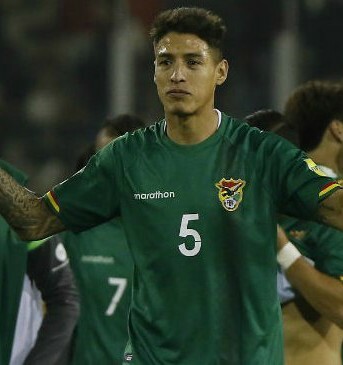 Bolivia fielded Nelson Cabrera in an international matchweek against both Chile and Peru. The player had apparently represented Paraguay in an international friendly back in 2007, and Bolivia were thus docked points for fielding an ineligible player. How did Nelson Cabrera result in Chile not qualifying for the World Cup? Here’s the twist- in the original two games, Bolivia drew 1-1 with Chile and beat Peru. Both results were converted to 3-0 wins, meaning that Chile, who originally got one point, ended up with 3, and Peru, who got zero, also ended up with 3. 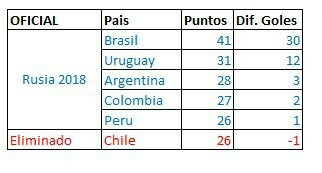 If the original results had stood, Chile would’ve been in the playoffs. 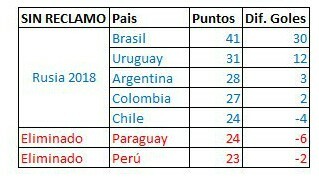 How would the CONMEBOL tables look without the two Bolivia results? Chile of course, had 8 losses in the course of the campaign- some poor results that means we will not get to see the likes of Alexis Sanchez and Arturo Vidal at Russia 2018. Hard luck for Chile. They did complain in the first place, but never would they have thought it would come to this. Probably the end of Chile’s golden generation. Two Copa’s and two round of 16 appearances at the World Cup, eliminated on both occasions by Brazil, and eliminated again by Brazil yesterday.